So, finally something about this project! The idea has been slightly changed since I installed a LED tape on my kitchen counter, but there are other places in the house where to use this project. In order to start slow and getting things done, I decided to build an Arduino prototype first. 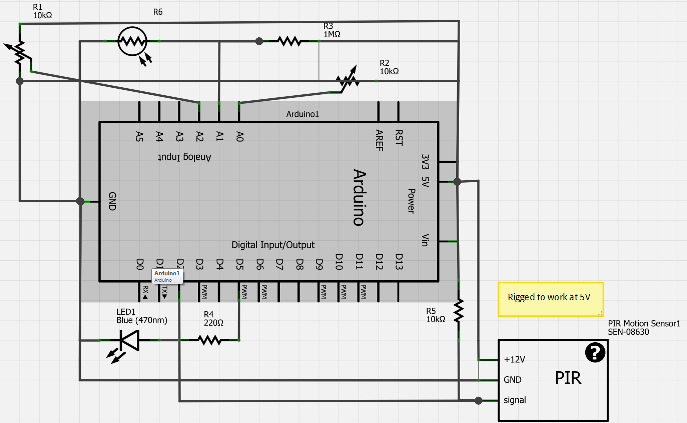 Then I'll try bit by bit to alter the configuration to avoid using an IC (if possible). This project is the use of a motion sensor and an LDR to light up some LEDs when I pass by the sensors at night. 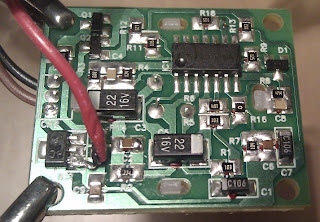 I already wrote about the PIR Motion Sensor and the LDR on previous posts. Now it's time to use them together. 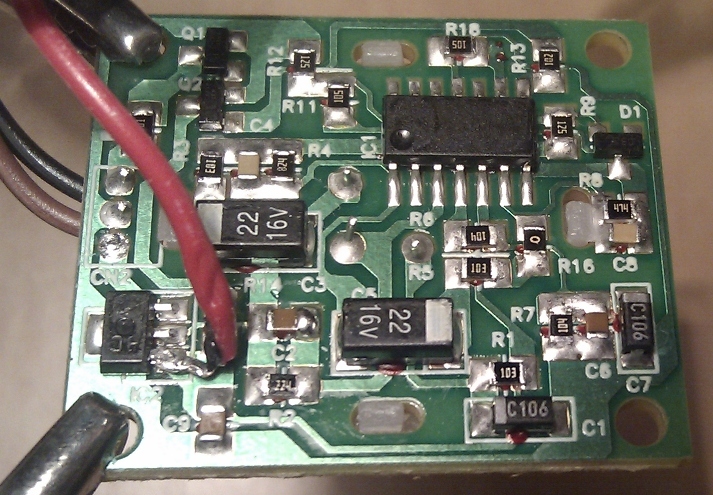 The PIR Motion Sensor needs 6 to 12V to work correctly because it has an in-built 5V regulator. 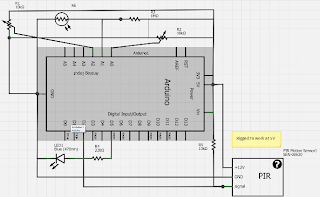 As I intend to use it with an Arduino or with an external regulator for the whole circuit, I decided to bypass that internal regulator. 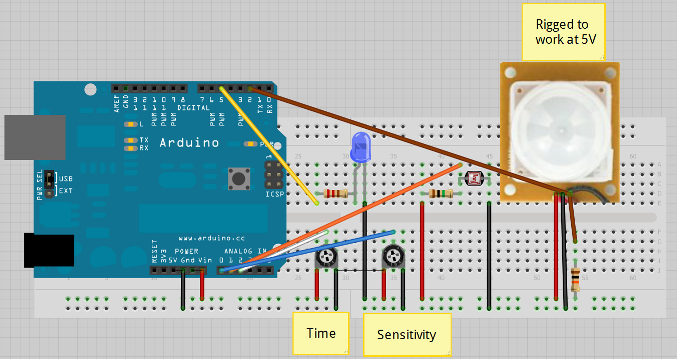 I connected the sensors like on the previous posts and added a couple of pots to control LDR sensitivity and on time for the LED. Looks a mess, but it's quite simple.